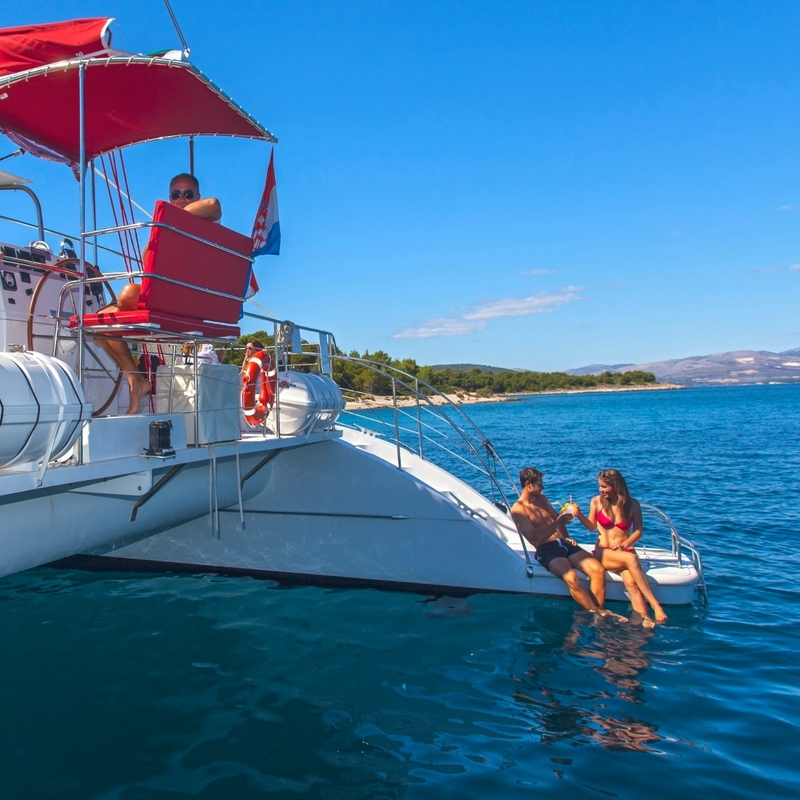 Enjoy an unforgettable experience on a Split to Brač day trip, with a luxury catamaran. 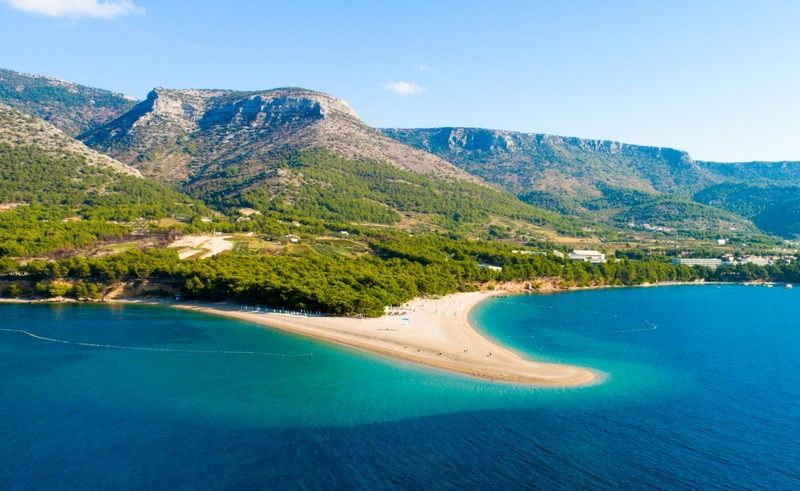 Explore the beautiful Island of Brač on one of the best day trips from Split, Croatia. 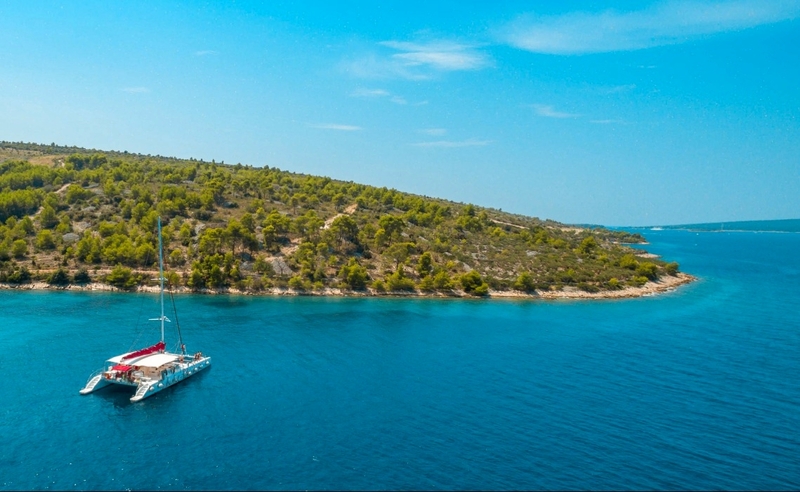 Take the Summer Blues early morning coffee and enjoy relaxed 1 hour cruise on the mega catamaran to the Island Brač. 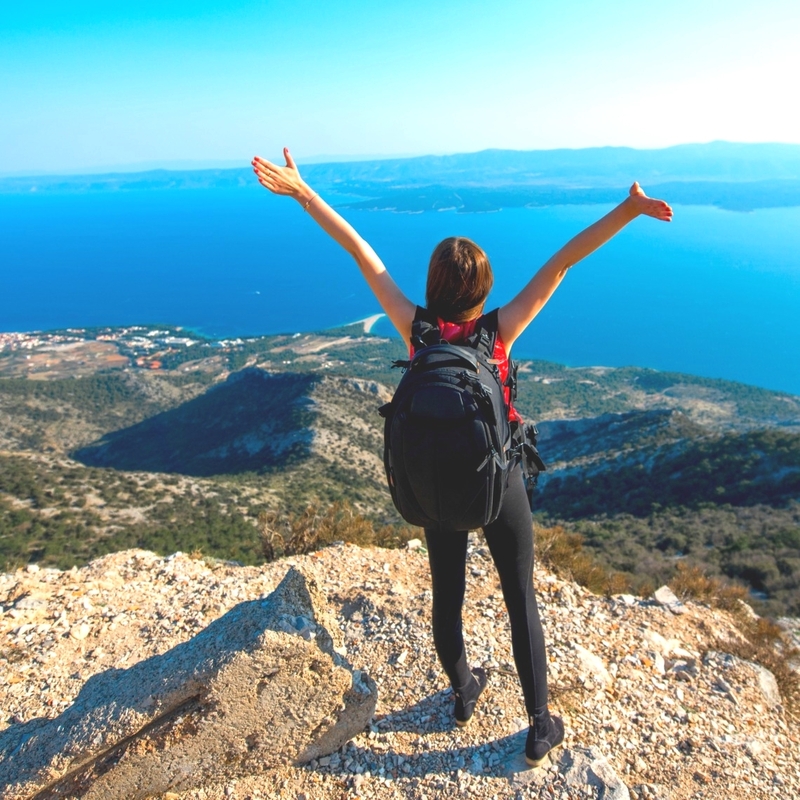 Discover the inland of Brač during an organized 2 hour panoramic, guided bus tour from Supetar to Bol including the stop on the highest peak, mount Vidova Gora to enjoy breathtaking views. 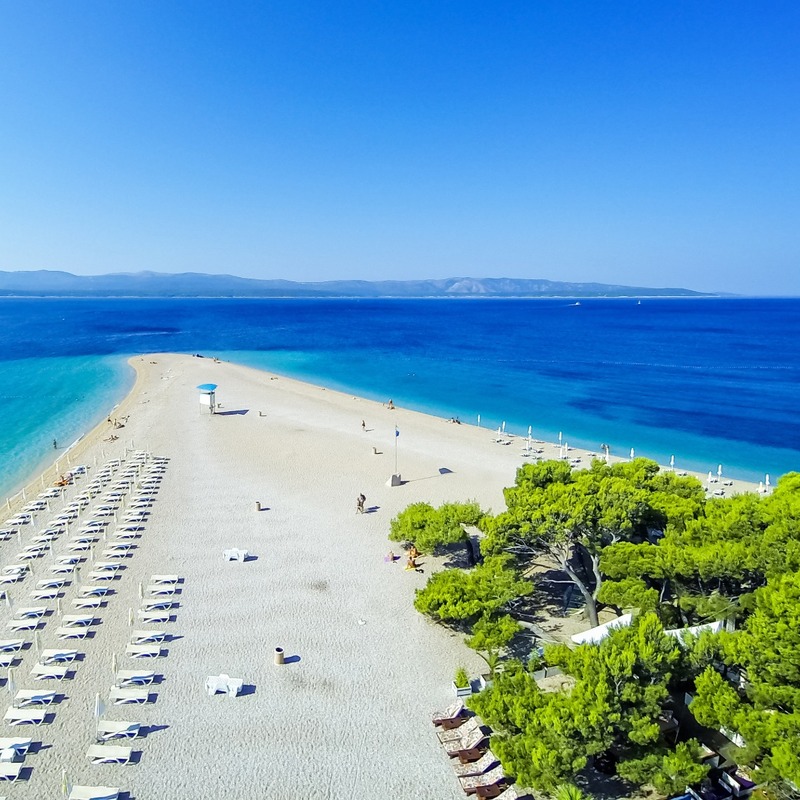 When you arrive at the famous beach Zlatni Rat (Golden Horn) beach you’ll have 2 hours free time to enjoy refreshing sea perfect for swimming and sun tanning. 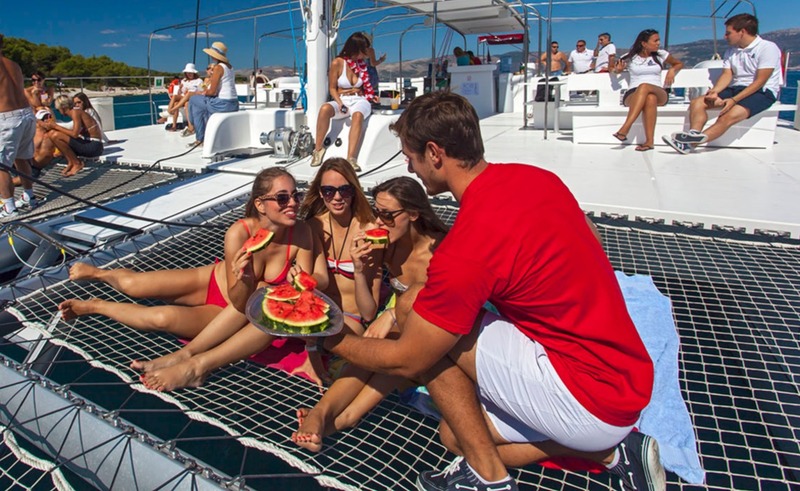 Early afternoon, at 15:00, Summer Blues catamaran docks in Bol and catamaran journey starts again. 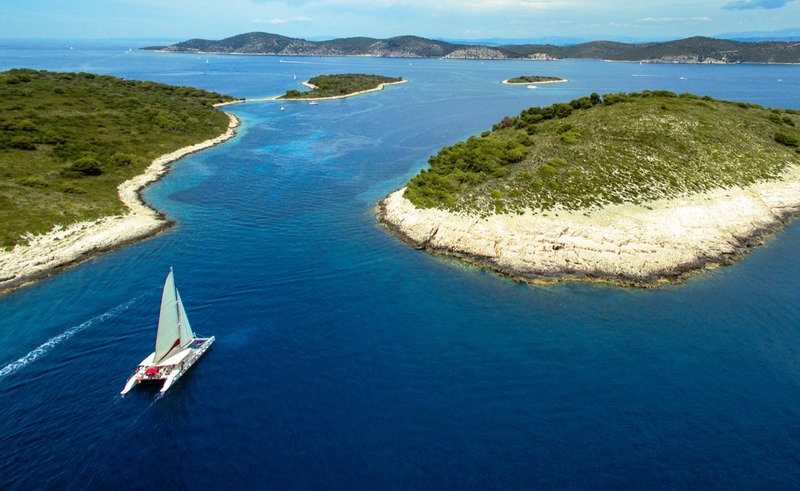 While you cruise along the south side of Island Brač and admire the views of vineyards, Summer Blues chicken salad will be served. Bar with all inclusive drinks is open throughout the excursion. 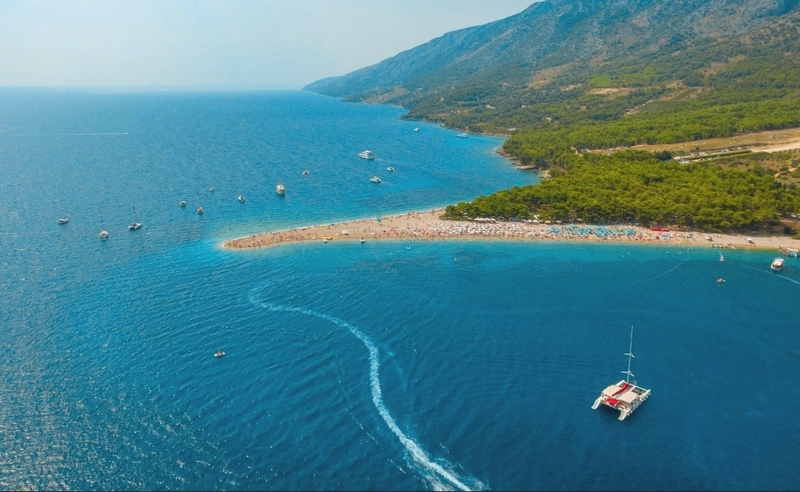 Your next highlight is the sky-blue bay “Lučice” where catamaran anchors for a swim stop where you can enjoy pure paradise. Relaxed, we start the tour to Split, including one more swimming stop in another beautiful bay “Stipanska” of Island Brač. 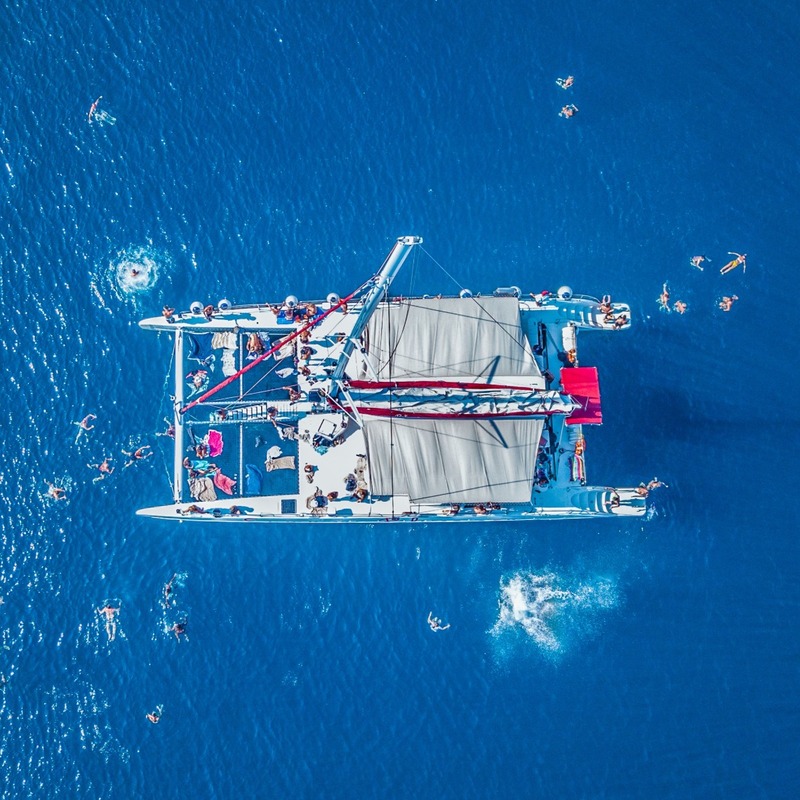 On board, more fresh fruits and delicious cakes are served; open bar and dance music entertainment during sunset make a sweet and perfect ending of the amazing day trip from Split to Brač. Boat was beautiful. Staff was friendly and we got to visit some really amazing places. A good amount of time for each activity.Totally worth the money! We got to visit some amazing places. We had the perfect weather for it. 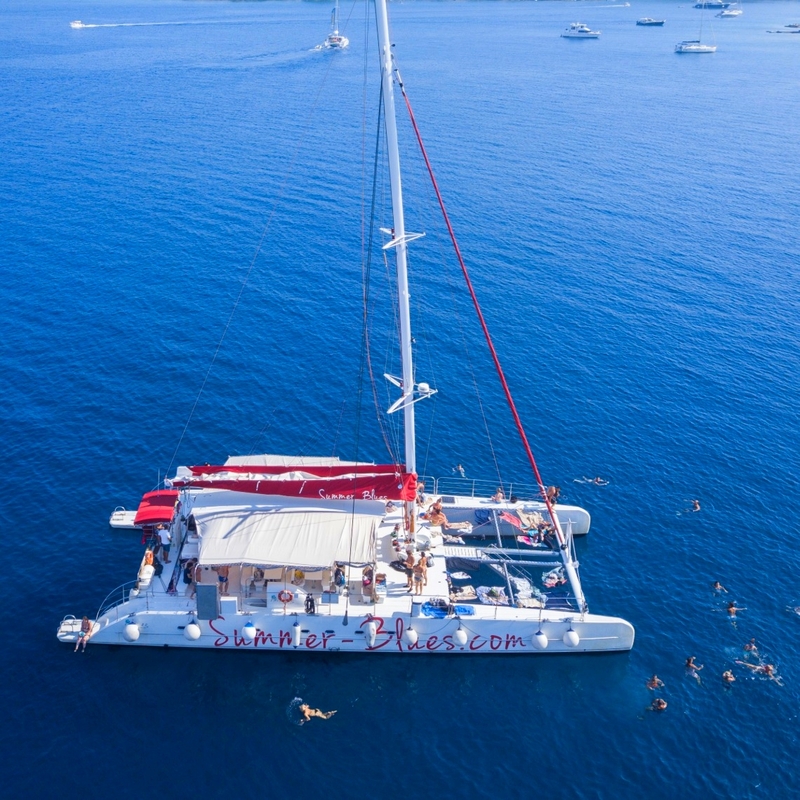 There was a lot of space on board the catamaran which made it a comfortable trip. The food and drinks were great! Spectacular day cruising with the catamaran. Crew was fantastic, organisation simply perfect, they took care of all the guests. Suggest only to have coffee in the afternoon. Strongly recommend! This was a great day trip to get out of Split on a very hot day. The boat was large and roomy even though it was sold out. 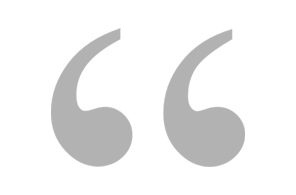 No crowding. The crowd was mixed from 20s to 60s including a couple families with small children. Definitely recommend!